Craps - original casino game! 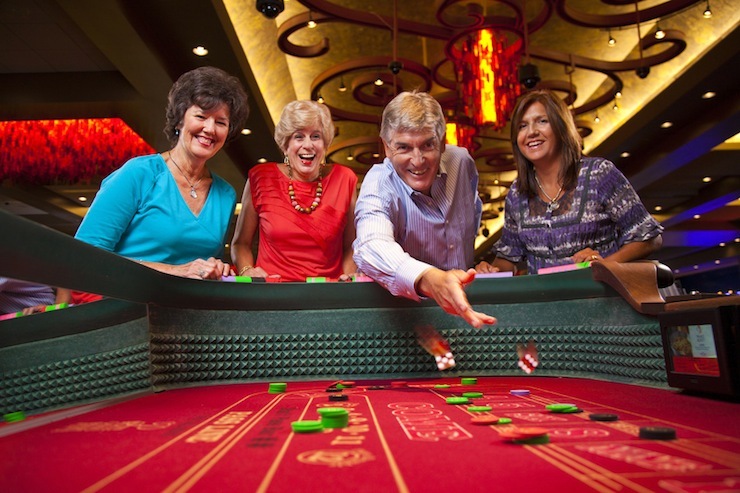 Craps a dice game, is one of the most exciting casino games. It is common to hear yelling and shouting at a craps table. It is played on a purpose-built table and two dice are used. The dice are made after very strict standards and are routinely inspected for any damage. As a matter of course, the dice are replaced with new ones after about eight hours of use, and casinos have implemented rules in the way a player handles them. Craps a game played by multiple players betting against a casino. Each casino might set slightly different payouts for the various bets. Players take turns rolling two dice and whoever is throwing the dice is called the "shooter". Players can bet on the various options by placing chips in the appropriate sections of the board. It may be required to ask the dealer to place certain bets. The dice are rolled across the craps table layout. The layout is divided into three areas - two side areas separated by a center one. Each side area is the mirror reflection of the other and contains the following: Pass and Don't Pass line bets, Come and Don't Come bets, Odds bet, Place bets and Field bets.